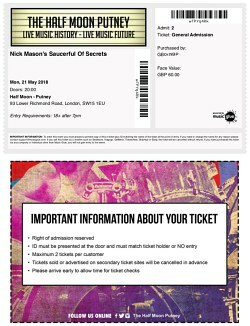 This review of the second night of Nick Mason's Saucerful Of Secrets "global tour, playing both Camden AND Putney" (as Nick amusing put it) should be read in conjunction with the review of the first night at Dingwalls. Most of the comments within that, apply equally to this show. Rather than repeat ourselves, if you've not read that one, scamper over and take a look now. The second night of any new endeavour, such as this, will always have a different vibe to the first. That applies equally to the audience, as well as the band. Factor in a change of venue (albeit still in London) and you have all the ingredients for an amazing pudding (sorry, couldn't resist the food/Floyd analogy there!). Dingwalls featured a crowd buzzing for the unique nature of the event, with a number of ideas but no real hard conviction on what the setlist would actually turn out to be. Aiding this, printed setlists for the crew and band were on the whole hidden or obscured, adding to the air of mystery and heated discussion beforehand. Being the second night, much of the heavily reduced (in headcount) crowd in Putney had a good idea of what songs would be performed, either from seeing the setlist in various places, including Brain Damage, or from word of mouth. Also, printed setlists were this time more accessible before the show, a number of people manoeuvring their phones overhead as best they could to take pictures of it. For some, discussion would have been concerted before the show started, talking about what they'd heard about the show, or seen on YouTube. Others had done their best to avoid hearing anything about the previous night, and whilst had good guesses about what the night would bring, went in with some degree of nervous anticipation. For the band, too, the show would have had a notably different feel. The first night of anything, you'd have a lot of nervous energy, and adrenaline; added to this was the fact that the press were in attendance - despite it being the Saucers' first ever public show. Not many acts tend to be under that sort of pressure. The second night you imagine the band will have had the relief of getting through the first, successfully, and the pressure must be off. The nervousness of how the set will be received, how the presentation and song selection will work, will have eased. That can sometimes affect the quality of performances, but thankfully not in this case! The differing dynamic, coupled with the dramatically reduced size, of the audience, led to a much quieter wait until showtime, with quiet contemplation taking the place of the Dingwalls audience's loud discussions, which seemed partly alcohol-fuelled in places. The much smaller stage at the Half Moon held the attention - seeing the wide array of equipment concentrated on the very small corner stage, in an equally small back room of a pub (literally!) led some to wonder if they were dreaming, and pondering if the chalkboard outside promising Nick's appearance was all some sort of joke. Certainly that understated advert for the show gave many a chuckle or two...this really was taking things back to the Floyd's origins in the 60s when similar venues would be used, with similar advertising. The quieter nature of the audience also had a benefit when it came to the intro soundscape, which runs for over half an hour, and brings in sounds old and new to great effect. Younger fans will possibly be unaware that this was a staple of Floyd shows, to set a certain mode. A superb job was done with this, for the Saucers, and unlike Dingwalls one could clearly hear it all as it played through. Without wanting to reveal too much about how the show then proceeds, it's a great romp through the band's early catalogue. The band are clearly having a great time - a tangible sense of camaraderie and genuine fun as the show unfolds, with minor glitches being laughed off. There's a definite sense that they are growing as a proper band, with the benefit of an audience making the difference over the rehearsal sessions they would have undertaken in the months running up to these four shows. The audience seemed much more attentive this evening compared to Dingwalls - by which I mean they seemed quieter, and to be taking things in carefully. 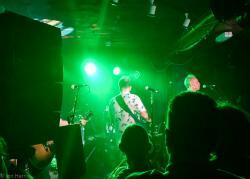 Dingwalls to a fair degree seemed more of a celebration for many in the audience, revelling in the performance with the set giving surprise after surprise. Inevitably, the Half Moon crowd didn't have that, broadly speaking, the surprises being the interpretation and delivery of the songs which many of them had heard were played the night before. It was also generally a more restrained audience - would that be the case on show three? Certainly the halving of the audience size would have a hand in that anyway. 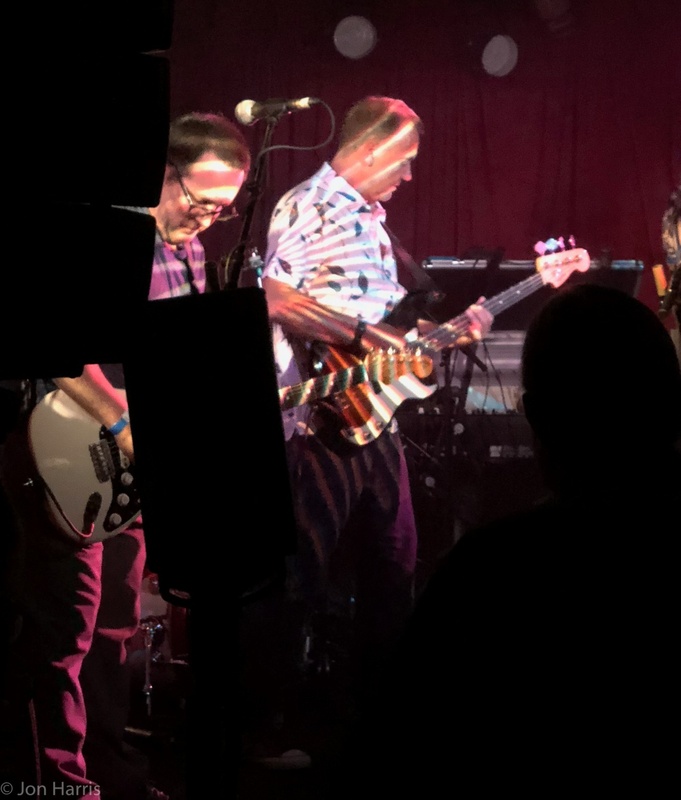 So, show two done, fifty percent through the aforementioned global tour, and a further 250 very happy souls thankful that they were there at this most unexpected of venues to catch a member of Pink Floyd, and his excellent new band, performing. 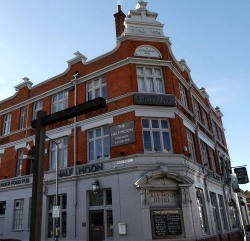 Some of course will be lucky enough to be at one or both of the remaining two nights, also at the Half Moon. If you are, enjoy (we're sure you will!) and let us know your thoughts on it.